Opal series features an Endless Flow technology, creating a continuous flow of water over the edges into an overflow channel grove located around the opening. Endless Flow creates a therapeutic effect and turns every bathing experience into a relaxing, mind-soothing journey. One piece, acrylic construction with non-porous surface for easy cleaning and sanitizing and fibreglass backed reinforcement. Safe for bathing salts and aromatic oils for a deep, relaxing soak. Drop-in installation. Amethyst bathtubs come equipped with ergonomically-moulded seating space for two adults. Comfortable armrests located on both sides of series bathtub provide luxury and comfort. An offset angle opening design creates an intimate setting, which will compliment both modern and classic bathroom styles. Peridot series features a classic oval-shaped bathtub design, combined with recent luxury and safety industry trends. Body-wrapping armrests create an ultimate comfort zone, essential for a luxurious bathing experience. 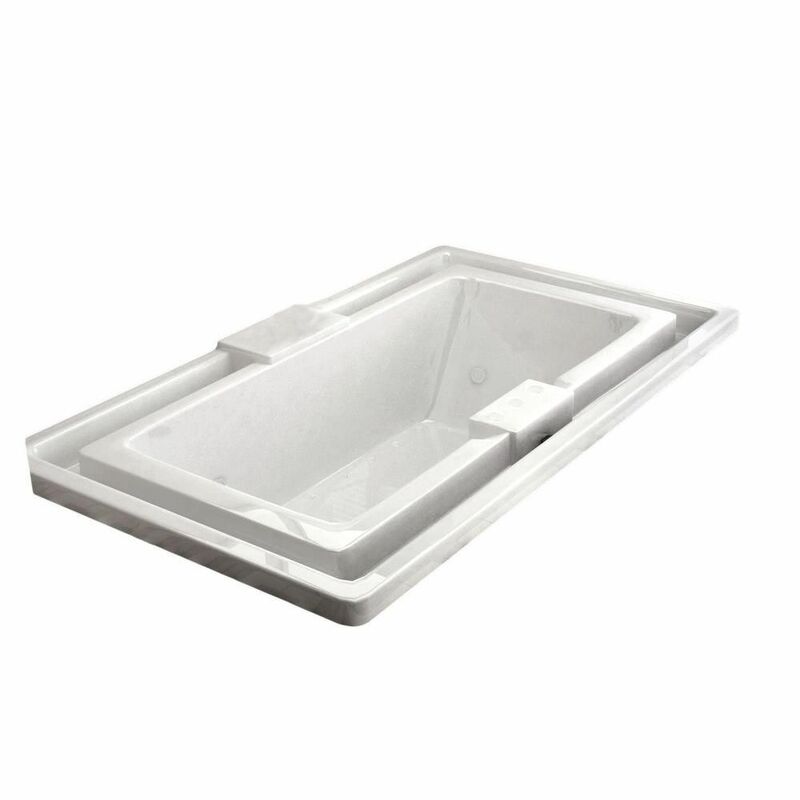 Opal Diamond Endless Flow 6.6 Ft. Acrylic Drop-in Right Drain Rectangular Whirlpool and Air Bathtub in White Opal series features an Endless Flow technology, creating a continuous flow of water over the edges into an overflow channel grove located around the opening. Endless Flow creates a therapeutic effect and turns every bathing experience into a relaxing, mind-soothing journey.